10pm-2pm - Admission - Party Favor and Champagne Toast - Access to Lite Bites Buffet - Drinks NOT included, but great chef-prepared food is!! Ring in the New Year at JAMES, the Modern American Tavern in Logan Square. 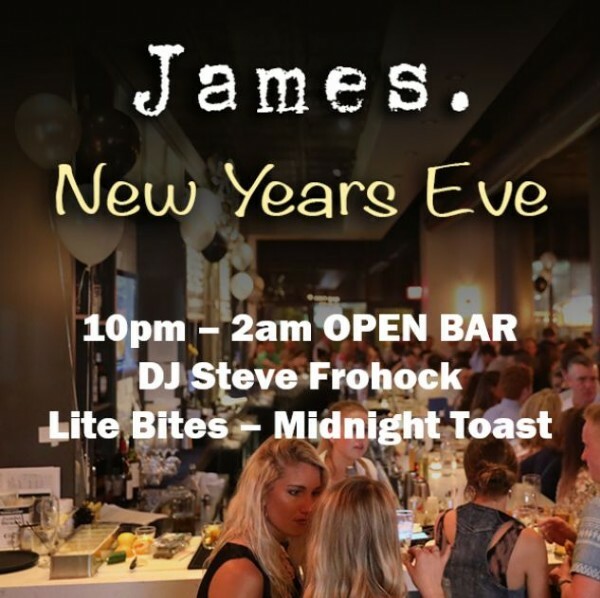 Come celebrate at one of the Philly's hidden gems and ring in 2019 in style with DJ Steve Frohock! View More Events Organized by James Restaurant and Bar. This event is organized by James Restaurant and Bar.